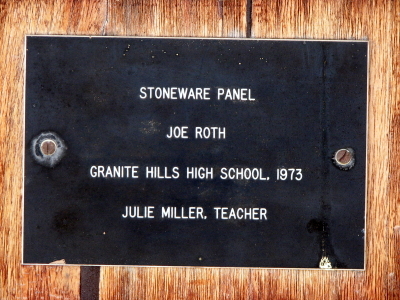 When Joe was a junior at Granite Hills High School he enrolled in a ceramics class taught by Julie Miller. He decided to make a ceramic mosaic for his class project. The mosaic was the largest project ever attempted by a Granite Hills High School student. The mosaic was made of clay in twenty-six different shaped sections and put together like a puzzle. Each section was created with a different design in mind and Joe used a variety of objects to form the design. He used items including a bicycle chain, sprinkler head, and egg carton and whatever else he could think of to finish the project. 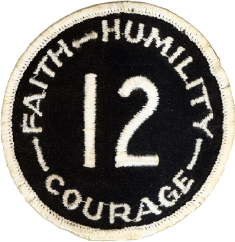 At its completion, the mosaic was 58 inches in diameter. 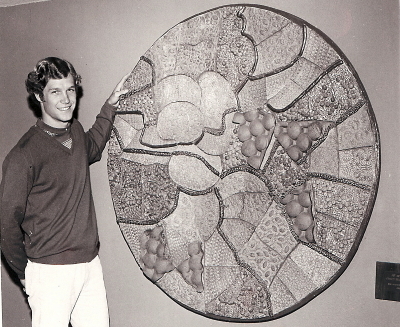 Joe's mosaic was displayed at the National Art Educators Conference held in San Diego in the Spring of 1973 were the piece was discovered by Wayne Dean, County Art Coordinator. 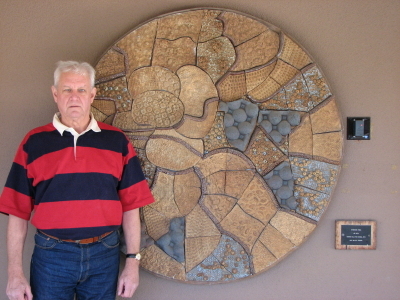 Wayne Dean wanted to buy the mosaic from Joe and after much thought, Joe sold his mosaic. 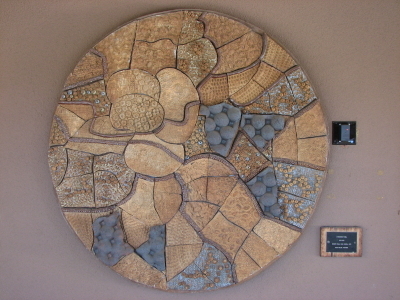 Joe's mosaic still hangs outside the auditorium (Building 4) at the San Diego County Office of Education campus. If you are ever in San Diego and want to see Joe's mosaic in person, the San Diego County Office of Education is located at 6401 Linda Vista Road, San Diego, CA 92111. Joe also tried his hands at the potter's wheel. Joe enjoyed getting his hands dirty and began throwing pots. He made all shapes and sizes of pots. He sold some and gave some away to friends. 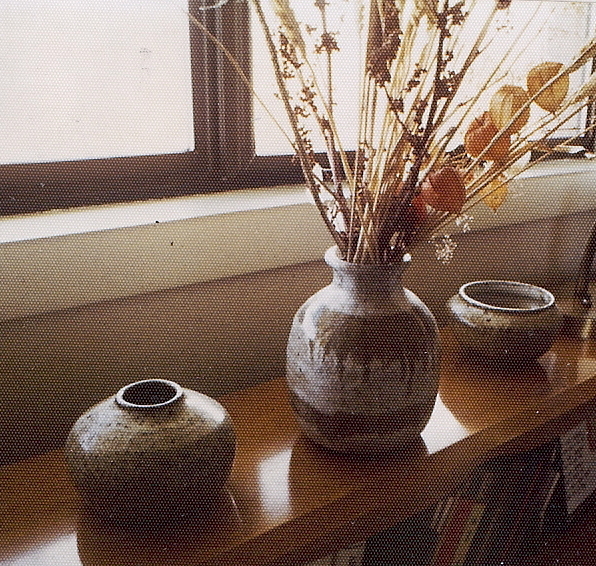 The Roth home was soon filled with Joe's pots. To see a collection of Joe’s artwork and pottery click here.